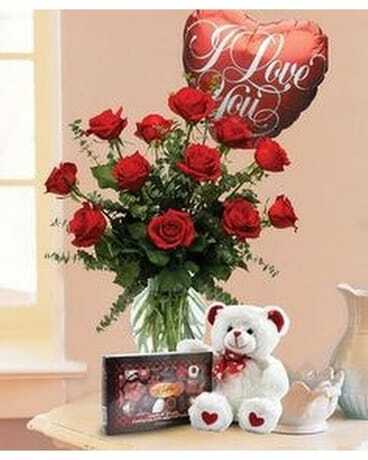 Valentines Day Special Combo: Includes A Dozen Premium Red Roses, Med. Size Bear, Happy Valentines Day Mylar Balloon, Box Of Chocolates. FREE DELIVERY IF DELIVERED ON 13 FEB!!!! Contact store for more details.